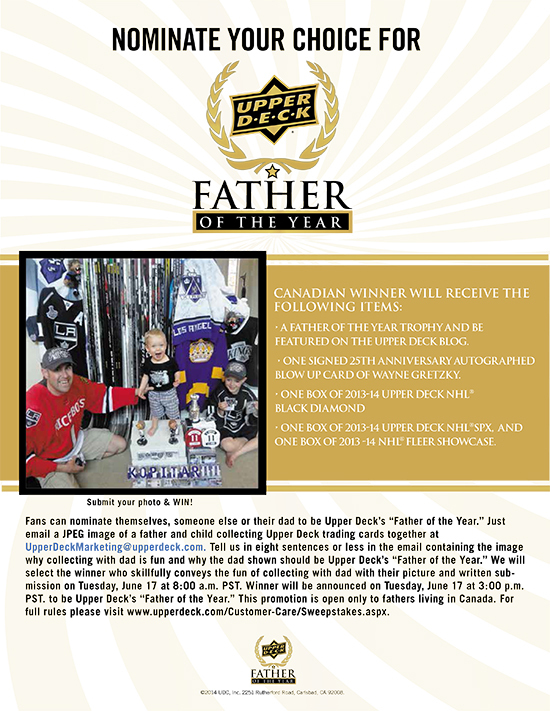 Nominations Are Now Open for Upper Deck’s 2014 Father of the Year Promotion for the U.S.A. AND Canada! Upper Deck believes in working to inspire fathers to collect with their kids, especially around the Father’s Day holiday. As Father’s Day approaches, most dads are hoping they would receive a unique collectible from Upper Deck Authenticated and many families combine efforts to give dad a gift as a group. There is another option to get dad an amazing signed memorabilia item this time of year which will not cost you anything through Upper Deck’s 2014 Father of the Year promotion! Upper Deck is looking for one great dad to honor as the Father of the Year for 2014 in the U.S.A. and Canada. That’s right, there are TWO opportunities to win this year with specialized product for each country! The winners we select will receive acclaim being featured on the Upper Deck Blog and bragging rights with an Upper Deck Father of the Year trophy. 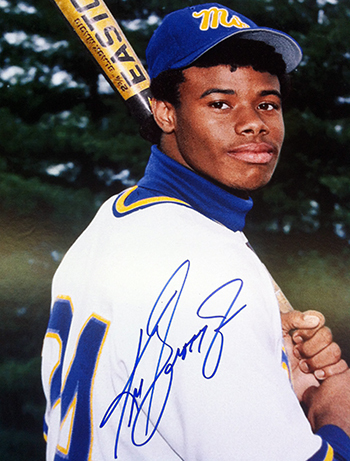 Additionally, the winners will also score a jaw-dropping 25th Anniversary premium blow-up card (18″x24″) autographed by Ken Griffey Jr. (U.S.A. winner) or Wayne Gretzky (Canada winner). Also included in that special prize package will be several boxes/packs of new Upper Deck products! 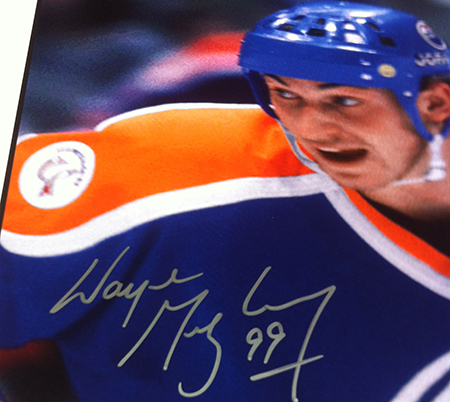 The Father of the Year in Canada will score a sweet signed premium blow-up card by Wayne Gretzky and the winner in the U.S.A. will get one from Ken Griffey Jr. Please write out eight sentences or less as to why you feel this dad is deserving of Upper Deck’s title of Father of the Year. Please send a jpeg image of the dad you are nominating collecting Upper Deck or enjoying Upper Deck Authenticated memorabilia with his kid(s). Higher resolution images work best for us. This is a VERY key part of the decision on who will ultimately win so try to get a great photograph! Please include full name, address and phone number for the dad you nominate. Emails must be received by Tuesday, June 17 at 8:00 a.m. Pacific. Upper Deck will select the candidate that most skillfully conveys the fun of collecting with dad in their picture and written submission on Tuesday, June 17 to be Upper Deck’s Father of the Year. There is no cost to participate in this promotion, entry is absolutely FREE! To get an idea of the submissions that have previously won, meet Eric Kageyama, the 2012 Upper Deck Father of the Year and Barrie Grice, the 2013 Upper Deck Father of the Year. So what are you waiting for? Grab that dad you think is worthy, snap some photos of him collecting Upper Deck or enjoying Upper Deck Authenticated memorabilia with his kids and get those off to us along with the written submission! And even if you don’t win, take comfort in knowing that in reality you already have. These moments spent sharing the hobby with children will stay with them forever and Upper Deck is so very proud to be a part of that. Feel free to share your images as you get them on Upper Deck’s Facebook page or on Twitter to @UpperDeckSports with the #FOTY hashtag. And remember you have through the Father’s Day holiday to get your images so make sure to give dad with some Upper Deck product this holiday and snap a photo of him enjoying it with the kids! Get that off to us that day or Monday and he could score big! For full rules copy, please visit http://upperdeck.com/Customer-Care/Sweepstakes.aspx. Upperdeck cards are so awesome, my husband is an advid hockey collector .